Gathering the family around the television during the holidays is a tradition as old as opening your gifts on Christmas Eve or a racist grandparent saying something that makes your mom spit up her spiked eggnog. Growing up, we sought peace and quiet away from the family drama in Christmas Specials like A Charlie Brown Christmas and It’s A Wonderful Life. Netflix knows this better than anyone. The king of content is releasing a plethora of holiday entertainment over the next couple of weeks, doing us a solid so we can avoid having awkward conversations with our relatives. Here are the latest and greatest holiday specials streaming on Netflix. Don’t confuse Norway’s eight-hour fireplace epic with its American counterpart, the burning Yule log, which plays on a loop. 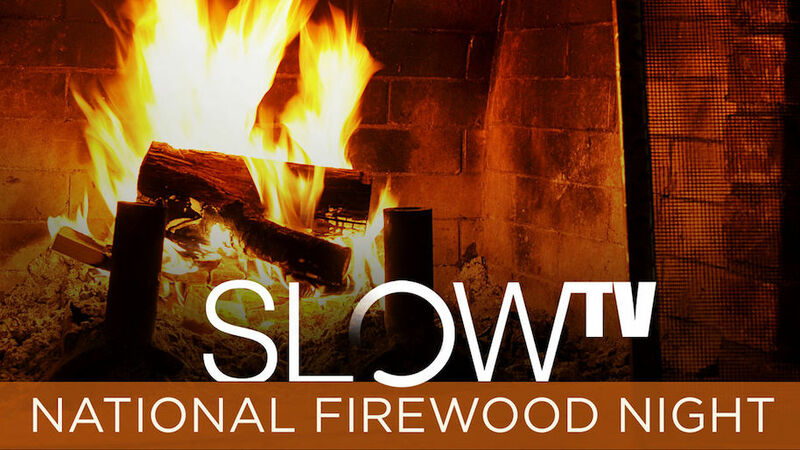 This holiday episode is part of a Nordic TV treasure, taking us into the long, meditative process of chopping and stacking firewood until it ends in a slow burn of a crackling fireplace. A struggling but talented photographer (Vampire Diaries’ Kat Graham) inherits an antique holiday advent calendar, which seemingly predicts the future. Will this magical calendar lead her to “Netflix and chill” with a handsome co-worker or leave her alone in a cold, dark room? Pee-Wee Herman and his oddball pals do Christmas like no one else, hosting an avalanche of stars like Grace Jones, Oprah Winfrey, Little Richard, and Cher, who drop in to provide some eccentric holiday cheer. Sure, it’s another holiday rom-com, but it features two scoops of Vanessa Hudgens. One week before Christmas, Margaret (Hudgens), the gorgeous Duchess of Montenaro, trades places with Stacy (also played by Hudgens), a “commoner” from Chicago who (wait for it) looks exactly like her! Hijinks and romance ensue. The Night Before has everything you ever wanted in a Christmas comedy: Seth Rogen, a drug-dealing Michael Shannon, and ugly Christmas sweaters. It also boasts the most important thing: laughs. It beats watching It’s A Wonderful Life again. You don’t have to be a BoJack superfan to get the jokes on this holiday special. The short and bittersweet episode is full of the Netflix animated hit show’s sarcastic humor that targets Hollywood and the price of fame. Jon Hamm riffs on his iconic Don Draper persona, charming and manipulating his way through three interconnected stories in the tech-horror anthology’s extra-long Christmas special. You had us at Bill Murray Christmas Special. The iconic funnyman re-teams with his Lost in Translation director (Sofia Coppola) to bring us an absurd, awkward throwback variety show with a parade of famous faces (George Clooney, Miley Cyrus, Rashida Jones). It’s not everything we wanted for Christmas, but it’s also not tube socks. Snake Plissken as Santa Claus is so wrong that it feels so right. 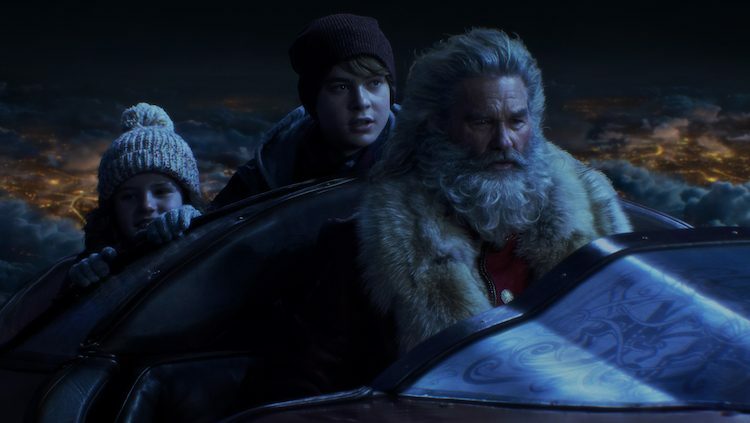 The plot for director Christopher Columbus’ Netflix holiday movie is one we’ve all seen before — Santa Claus teams up with some precocious kids to save Christmas but this is friggin’ Kurt Russell (a.k.a. RJ MacReady from The Thing) playing a badass version of old Saint Nick!